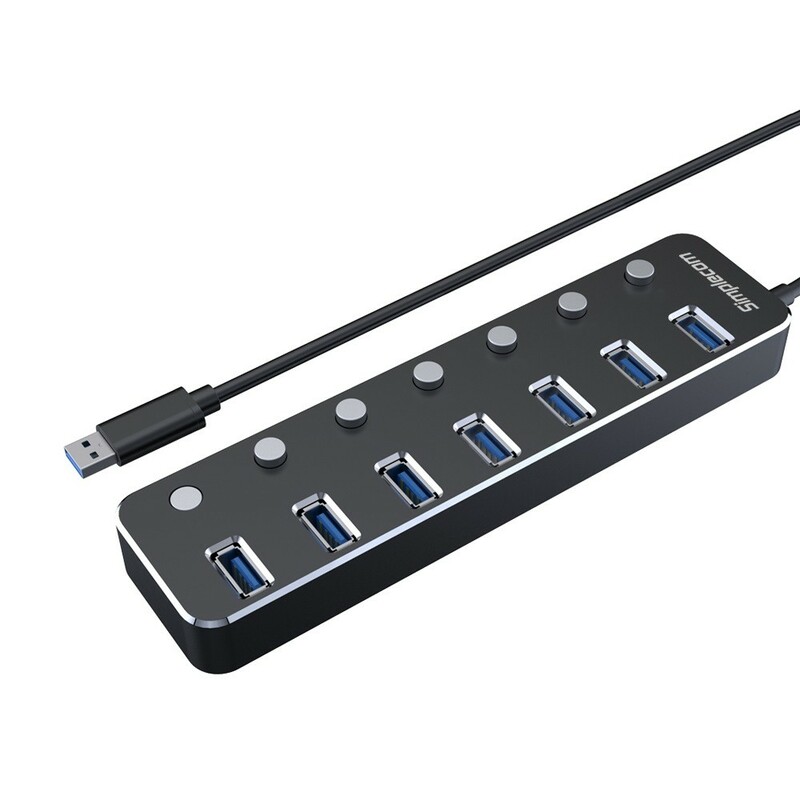 Expand your computer’s USB connectivity with CH375PS 7-port USB 3.0 hub, you can instantly add up to 7 devices quickly and easily with it. 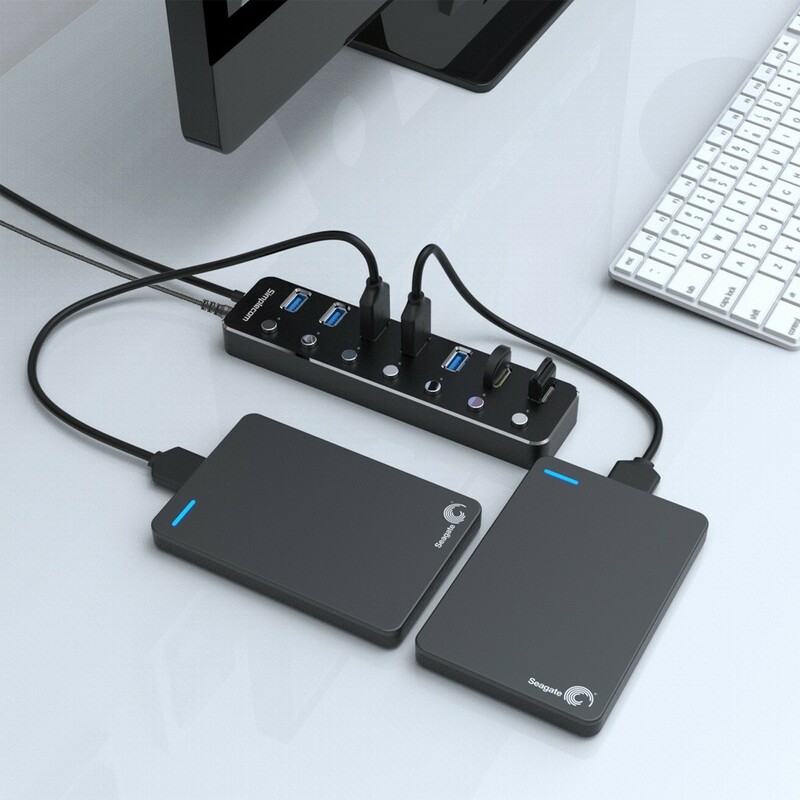 Today's laptops are lighter and more compact than ever, that savings in size comes at the cost of fewer USB ports to connect your USB accessories. 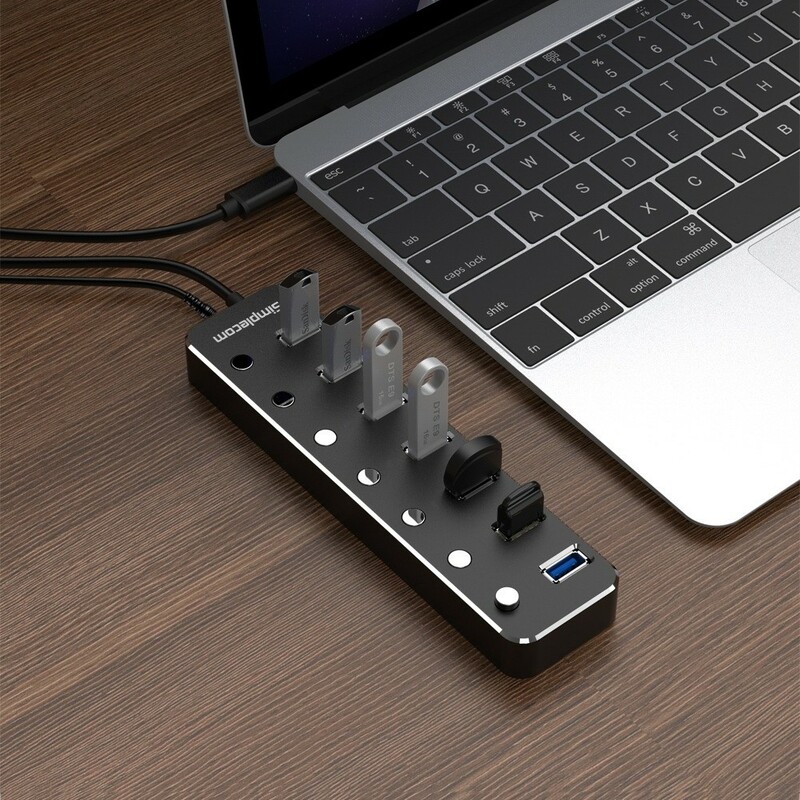 This 7-port aluminium hub is a sleek and stylish extension to your laptop or PC, making it easy for any user to connect more USB devices to computer. 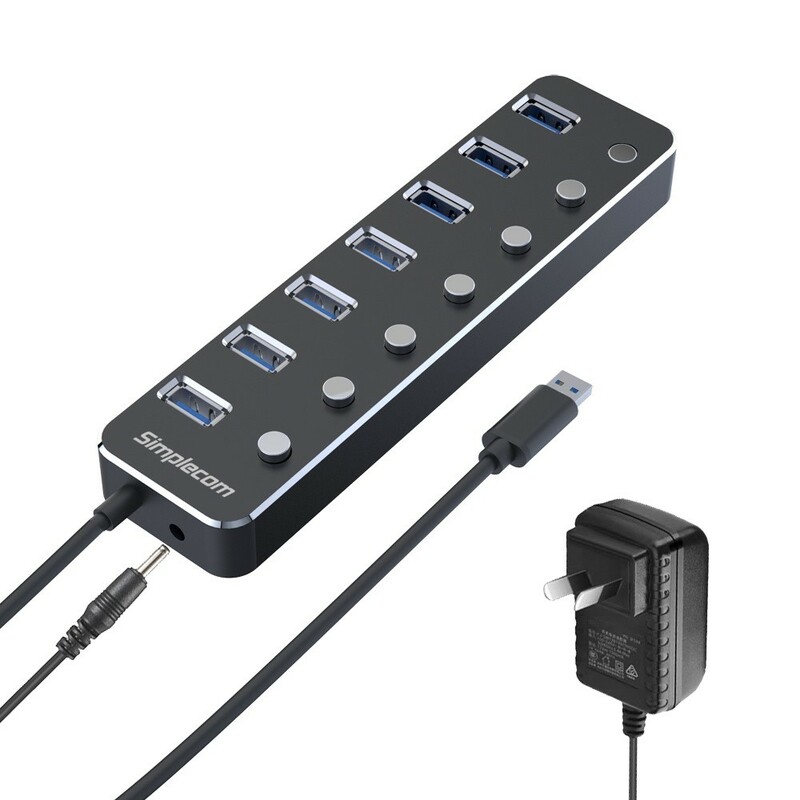 It features USB 3.0 Super Speed transfer rate and backwards compatible with USB 2.0 and 1.1. 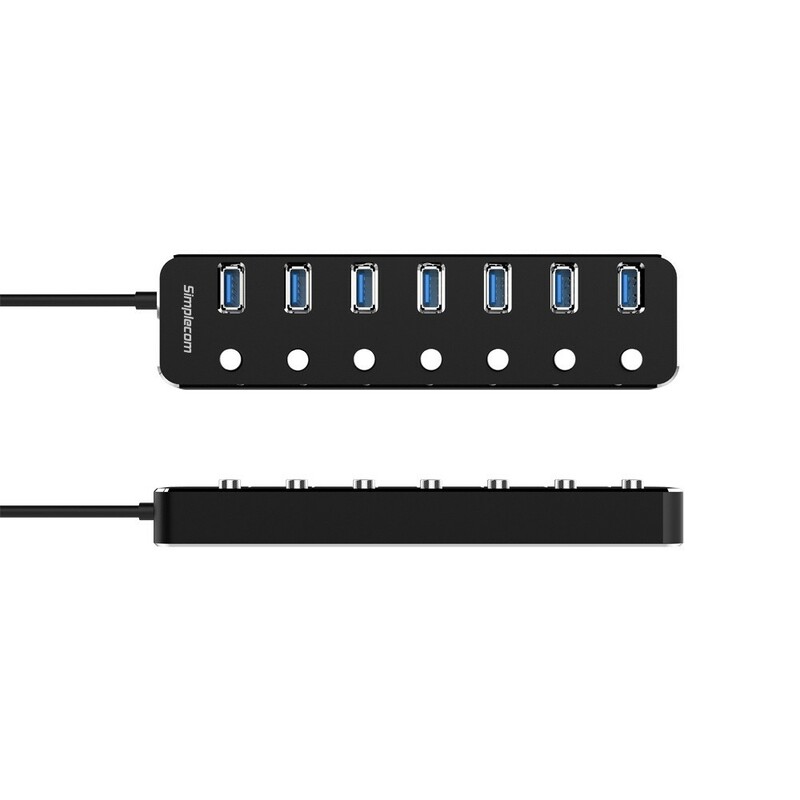 Plus, each port has its own separate power switch so you can control each port independently without unplugging the equipment.